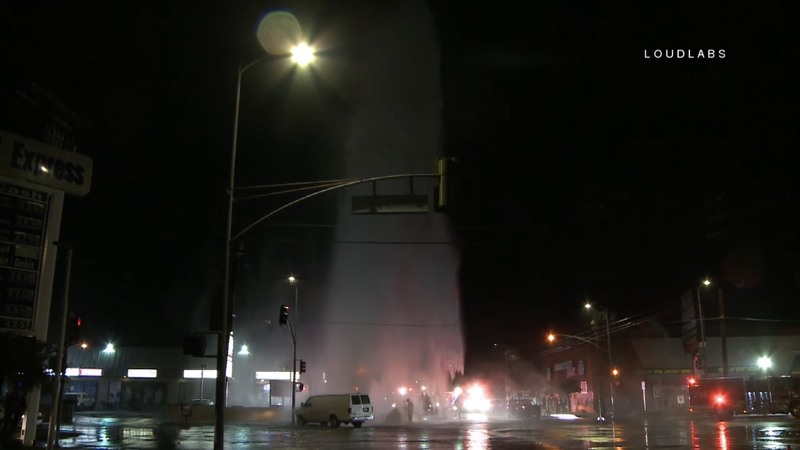 At approximately 2335, LAPD and LAFD responded to reports of a crash involving a fire hydrant at Burbank Blvd & Hazeltine. Arriving units found a 2 vehicle crash, with a van that had struck and sheared a fire hydrant, with water shooting about 60 feet in the air from the sheared hydrant. The driver of the van may be unlicensed per an LAPD officer on the scene. Firefighters were able to shut down the hydrant in about 30 minutes. The intersection was flooded. It does not appear that anybody was injured in this crash. LAPD Valley Traffic Division is handling the investigation.